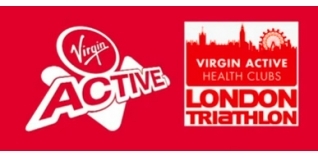 The Virgin Active London Triathlon (VALT) (www.thelondontriathlon.co.uk) and its principle partners have launched a 13 part Triathlon Training Series designed to help athletes prepare for the London Triathlon or any other event this summer. The videos are designed to help both first time and experienced competitors. The videos are led by Virgin Active experts, Olympian Marc Jenkins, coach to World Champion triathlete Helen Jenkins, the members of Team Challenger World (www.facebook.com/teamcwuk) and Team Freespeed (www.freespeed.co.uk) and experts from the individual sponsors. For the beginner the videos provide a comprehensive guide to help get the most out of their triathlon experience whilst for the experienced triathlete, individual videos will help them make targeted improvements in their performance. Why not check out the entire series?